This homemade hot chocolate is a popular beverage drink made with milk, cocoa powder and chocolate. 1. Coarsely grate the chocolate. 2. Place the milk and chocolate in a saucepan and whisk over a moderate heat for 3 to 4 minutes until the chocolate has dissolved. 3. Add a few drops of essence. 4. Pour the hot chocolate into mugs and dust with the cocoa powder. 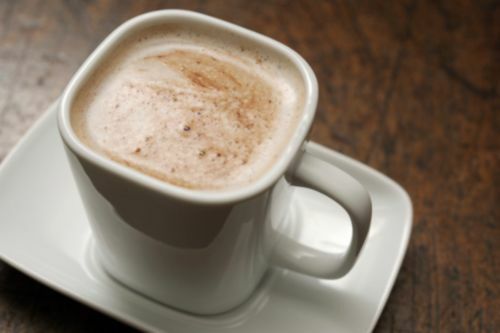 Feel free to comment or share your thoughts on this Hot Chocolate Recipe from Awesome Cuisine.